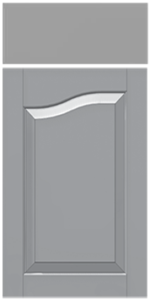 The HL/HR-20 is as accent door, not a door intended to be ordered for complete kitchens. The door must be ordered as a left or right (or in the case of a double door cabinet, as a pair). The term HL or HR means ‘Half Left’ or Half Right’ and is really ‘half’ of the arch of a CRP-2o design. 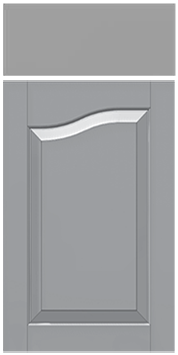 We rarely see this door ordered in kitchens, it is usually reserved for furniture pieces, etc. When used judiciously, it is a nice compliment to a traditional design. Yes - All options available. Yes - Width modifications are available.